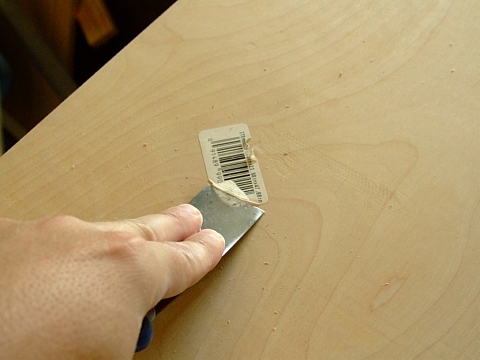 They’re great for barcode scanners, but those stickers aren’t so great when you’re working with plywood. Sometimes they’ll come right off with little to no residue, other times it seems like they’re there for good. 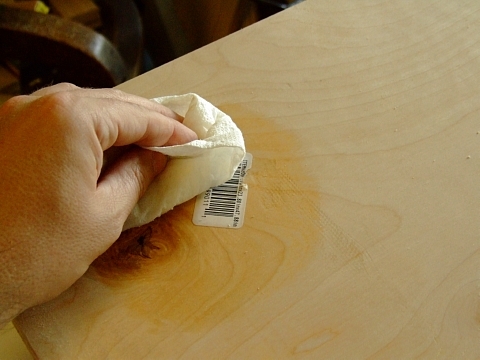 Here’s a quick and easy way to remove the sticker and the adhesive that remains. 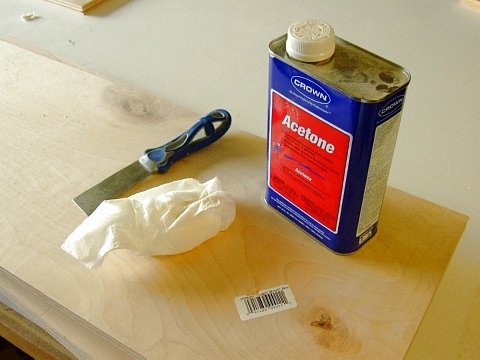 Grab some acetone, a scraper or putty knife, and a rag or paper towel. You can use fingernail polish remover, but make sure it is free of fragrance and dyes. Make sure you are working in a well-ventilated space. Thoroughly wet the sticker. I mean really soak it. Begin at one corner and slowly start scraping underneath the sticker. 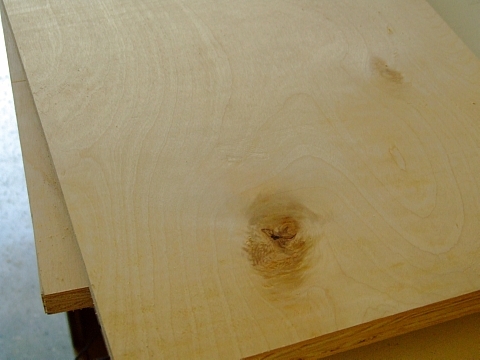 Be gentle – you don’t want to scratch the plywood. Keep working away at the sticker slowly. Apply more acetone if needed. After you’ve removed the sticker, keep applying acetone to the area. Scrub it until you see bits of the adhesive form into little balls. 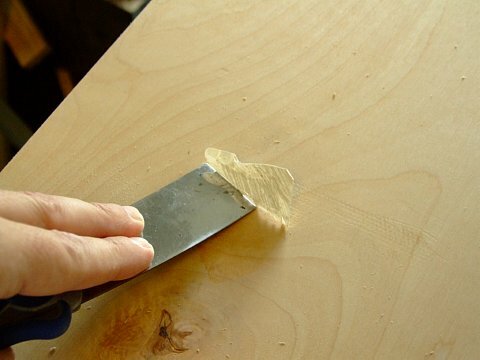 Scrape these away with the scraper or putty knife. Now the sticker and residue are gone, and you can carry on with your project! or just use your circ-saw like I did before reading this hint….. I find that mineral spirits works well and is safer to use than acetone, I also use a wide (2 inch) wood chisel to scrape the label. I don’t purchase from stores that place the sticker on the good side. Maybe they will get a clue one day.